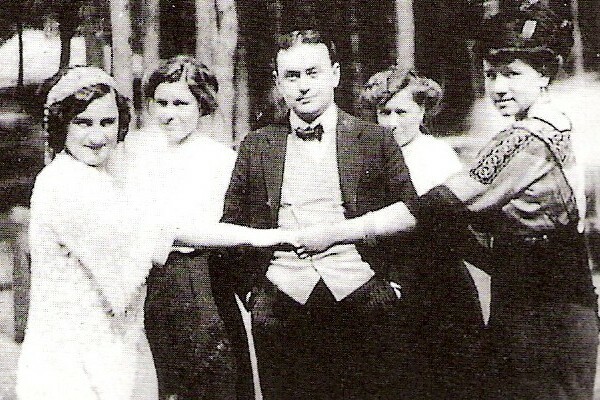 Today we know Ernest Beaux first and foremost as the creator of Chanel No. 5, but he was also responsible for Bois des Îles, Cuir de Russie, No. 22, and many other early Chanel perfumes. His style is elegant and graceful, but with a strong character. Soir de Paris, a fragrance he created for Bourjois, doesn’t just skip from one note to another; it shimmers, revealing in one moment a peppery citrus and green leaves, and in another a velvety rose and wood shavings. As it turns out, Beaux was not only a great perfumer; he was also a good writer, and his candid observations remain relevant today. 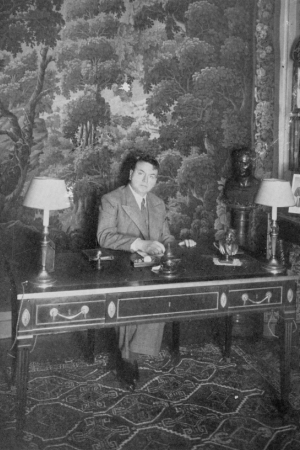 In partnership with the Osmothèque, I offer you an excerpt from Memories of a perfumer (Souvenirs d’un parfumeur), a 1946 magazine article by Ernest Beaux published in Industrie de la Parfumerie. The article gives a glimpse into what Beaux considered to be the greatest perfumes of his time and his thoughts on the art of perfumery in general. “If our thoughts are but fantasies, such fantasy finds, thanks to the talent of the perfumer, a possibility of fulfillment,” he writes, and I cannot agree more. The article comes from the archives of the Osmothèque, a French non-profit institution whose mission is to preserve fragrances in their original formulations. The current regulations make it impossible for Chanel to offer No.5 as Beaux intended it to be, but the Osmothèque features it in its collection, which is open to the public. You can also discover there the fragrance masterpieces Beaux mentions in the article: Houbigant Cœur de Jeannette, Houbigant Fougère Royale, Houbigant Le Parfum Idéal, Houbigant Quelques Fleurs, Piver Le Trèfle Incarnat, Roger & Gallet Vera Violetta, Guerlain Jicky, Guerlain Après l’Ondée, Guerlain L’Heure Bleue, Coty La Rose Jacqueminot, Coty L’Origan, Caron Le Narcisse Noir, Lanvin Scandal, and Lanvin Arpège. Translated into English by Will Inrig. “At what period did I create it [Chanel No. 5]? In exactly 1920. Upon my return from the war. I had been led on campaign to the northern part of Europe beyond the Arctic Circle at the time of the midnight sun, when the lakes and rivers release a perfume of extreme freshness. I retained that note and replicated it, not without some difficulty, as the first aldehydes I could find were unstable and of an irregular production. Obviously, I had made other perfumes before this No. 5, as my first creation dates from 1907, when in Moscow I had recently been named Member of the Board and Technical Director of the Société Rallet. In 1912 my creation Le Bouquet Napoléon, honoring the centenary of the battle of Battle of Borodino, proved an incredible success. After five years on campaign, I created in 1919-1920, in addition to No. 5 of which I have spoken, No. 22 and a whole series of different perfumes. In 1922, my friend, Mr Charabot, asked me to represent him in Paris, but in 1924, Messrs. Paul and Pierre Wertheimer decided I would return to the creation of perfumes and have since released among others: Gardénia, Bois des Îles, Cuir de Russie at Chanel and Soir de Paris and Kobako at Bourjois. It is thanks to an atmosphere of total freedom and an understanding of the role that falls to the creator that I have been able to realize my ideas. Throughout my career numerous perfumes left upon me a marked impression. In my early days these were Bayley’s Ess. Bouquet, Lubin’s Chypre, Piver’s Le Trèfle Incarnat, Roger & Gallet’s Vera Violetta. The greatest perfumer of his time, Mr Parquet, created Le Parfum Idéal, Fougère Royale and Cœur de Jeannette, all admirable perfumes, and later Mr Bienaimé composed Quelques Fleurs with its new note of lilac that proved a considerable success for the house of Houbigant. I see the Guerlain family as having contributed to the glory of French Perfumery with Jicky, Après l’Ondée, L’Heure Bleue and other creations of great class, as well as Coty with La Rose Jacqueminot and L’Origan, and I am notably reminded of the unprecedented craze for these two perfumes in France and abroad. Mr Daltroff (Parfumerie Caron) brought us an interesting note with Narcisse Noir – and we soon saw appear creations of exquisite taste like Lanvin’s Scandal and Arpège. I stop myself there, not because I have nothing to say of other perfumes, among which there exist a great number of good and excellent ones, but because I am lacking in space and still wish to speak of the perfumer and his art. Because for me Perfumery is an art and the true perfumer must be an artist. As the musician must first learn his notes and his solfège, as the painter must first study drawing and colour, so must the perfumer know raw materials. He must analyse, training himself to dissect scents and forging a perfect recollection of all substances already smelled. He retains a certain number of these substances and thus builds his palette. The same as a painter maintains his palette though he changes style, a perfumer may distinguish himself precisely by the assortment of materials he prefers to employ. 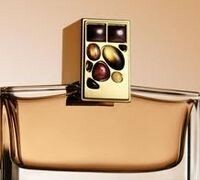 The perfumer creates for himself ‘standard accords’ that serve him in specific cases and facilitate his work. He can then compose a perfume; for this it is essential that he has an idea, that he knows what he wants to make and that all his efforts tend towards the goal that he sets for himself. Beaux, Ernest. “Souvenirs d’un parfumeur.” Industrie de la Parfumerie 1.7 Oct. 1946: 228-231. Print. Translated from French by Will Inrig. November 12, 2013. COPYRIGHT The Osmothèque 2013. 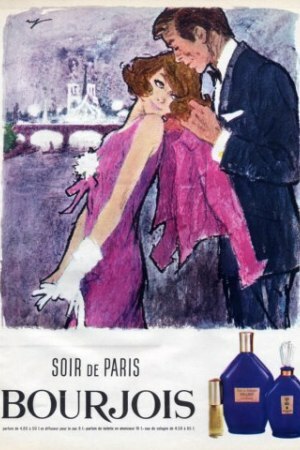 Image: Ernest Beaux, via the Osmothèque; vintage ads of Chanel No 5 (1947) and Soir de Paris (1965). Persolaise: Such a wonderful post! Thank you, Victoria, and thanks also to Will for the translation. Victoria: I loved that part! It’s so poignant and relevant today as ever. Nancy A.: Not to diminish the modernity of present day “noses”, the creations of yesteryear still reign supreme and continue to do so for me. Thank you and L’osmothèque very very much! Love plunging into the world of such a talented perfumer and artist, as he clearly recognises himself as such. I want to smell Lubin’s Chypre now. I hope to bump into the osmothèque one again during Esxence, next spring. Austenfan: A truly lovely read! Thanks again for enabling. It is so rewarding to read about someone’s passion for his work, just to share the joy of creating. 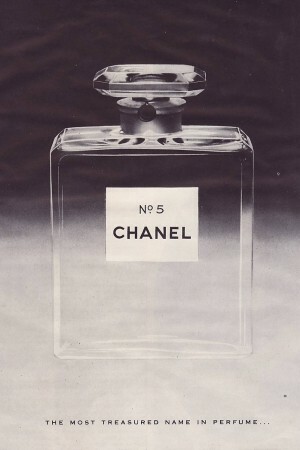 I was puzzled by Beaux’s inspiration for Chanel No.5 being snow. Not my first thought when I smell it. Victoria: I think that the idea of experiment with aldehydes came most from that experience. I was wearing No 5 parfum this weekend as I was formatting the article, and it’s interesting how while No 5 dries down so warm and rich, the opening of aldehydes has a cool, mineral edge. 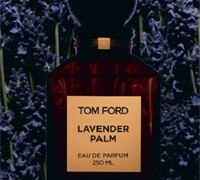 The parfum is still the closest version to what Beaux composed. Austenfan: I’ve got a small sample of older No.5 parfum which I haven’t smelled in a long time. I remember the drydown more than the opening. But aldehydes can have that white blinding (sometimes noseblinding) effect. The only strongly aldehydic perfume I wear on a regular basis is White Linen, and it’s true the opening of that one is sort of cold. Victoria: Thank you very much, Maja! Victoria: It seems like he really was. He was French, although he was born in Russia, and even after he left the country after the Revolution, he continued to be connected with the Russian milieu in France. 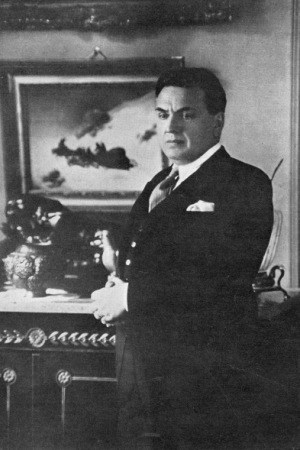 Being Russian in France in the 1920s was still considered very exotic, and he might have cultivated that edge on purpose to attract his clients. Cornelia Blimber: What a great article! And such a wonderful beginning of the series: Beaux himself! I would be curious which composer inspired which perfume. Beethoven and Debussy– totally different worlds. Both are among my favourites too, especially Beethoven. He created so many magnificent perfumes, must have been a hard worker. His perfumes are still (more or less) alive, while many other famous perfumes of the past are almost forgotten. I remember very well the original Soir de Paris. Amazing that this wonderful scent was not expensive. I emptied many of those little blue bottles. Victoria: I read that Bois des Iles was inspired by Tchaikovsky’s The Queen of Spades, but it seems like he was someone inspired by his experiments with novel ingredients. The accord of aldehydes can be found in many of his perfumes, and it’s interesting to see how he used it to lighten up the rich floral notes. He also loved many ingredients that other perfumers of his time looked down upon, such as ylang-ylang and new synthetics. yomi: Lovely article as always Victoria, I am inspired by your article to start writing about my own creations now! Should you ever need an article on the fragrance world in Nigeria it would be my pleasure to contribute or provide information! Annikky: What an interesting read, thank you! I was especially struck by his willingness to give credit where it was due – to the houses he worked with for artistic freedom, to Mademoiselle Chanel for her intuition, to other perfumers for their excellent work, to the writers, painters and composers who influenced him.